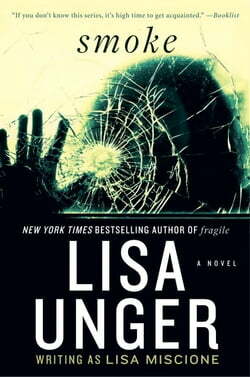 Book Four in the Lydia Strong SeriesIn the final installment of her Lydia Strong series, bestselling author Lisa Unger, writing as Lisa Miscione, brings us her most shocking and emotionally wrenching case yet. An NYPD detective visits Lydia and her husband, P.I. Jeffrey Mark, to inform them that... read more Lily, one of Lydia's former writing students, has been missing for more than two weeks. Before she disappeared, Lily had tried to get in touch with Lydia, seeking her help. Could this have had something to do with the death of Lily's brother, which Lily refused to accept as a suicide? If they want to discover the truth, Lydia and Jeffrey will have to follow the trail that Lily left behind, a trail of evidence that--like Lily herself--seems to disappear like smoke.